People in the Kenshuusei thread predicted her rise in popularity. I guess I’m not the only one who thought the same way. Honestly, she’s currently the biggest presence of 3rd gen.
Nakanishi, too, seemed completely hopeless in the beginning, but turned out exceeding everyone’s expectations. At first Aiai didn’t have any self-confidence and everyone thought it was only a matter of time until she quit, but lately she looks like she’s really enjoying herself. The first time I saw the three of them with Sawayaka, I knew she would be my favorite. She had me with that. Here’s how the group looked when they were told about the new members and name change. Yet, they still welcomed the new members to the group with open arms. They all deserve credit for that. 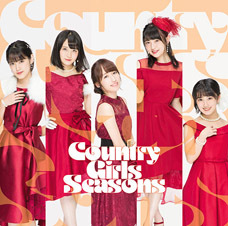 Seeing Kamiko on stage at the Countdown Live, I remember thinking how great the members are for backing up new members who can’t quite stand on their own feet yet. 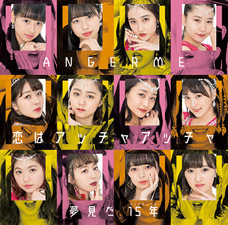 The atmosphere within ANGERME is great, so there’s space for the new members to grow, too. 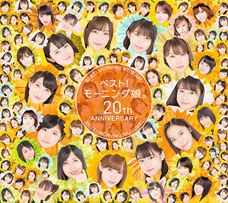 Still though, I bet they’re pretty strict to the members behind-the-scenes, even with a group like ANGERME. The members of ANGERME are all kind and welcoming, but I feel like this girl created her popularity all by herself — through her personality. And I suppose it also doesn’t hurt that she’s always smiling and that she’s good at singing and dancing and all that stuff. I like it when Aiai teases Oden. I feel like in ANGERME, the senpai-kouhai relationship isn’t that important. It’s more like they’re just comrades all trying to create the best stage they can together. She has a pretty nice voice as well. Her singing doesn’t have any weird quirks and it’s just pleasant to listen to. It seems that in the beginning Meimei really made her work on her singing. I hope she keeps giving Aikawa-san advice until her graduation. I don’t think she’s calculating or anything, but I do feel like she purposefully gives out little things about herself that help draw attention to her. I just like how she’s so honest in various ways. 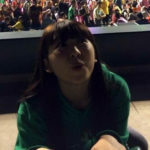 Remember also that she’s the oddball who took part in Musume’s audition just because she wanted to get into S/mileage. She was saying that if she actually made it into Musume, then at least she’d get to stand on the same stage as S/mileage. I love this story about her. I’m glad she made it into the group she loves so much. It’s funny how it’s like she didn’t seem to realize that the people who don’t get through in Musume auditions may be put into the Kenshuusei or just other groups altogether. 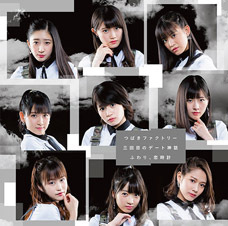 I guess for this girl S/mileage really is the top group of Hello! Project. Who has the most “H!P-like” face? Maho, the really lovely alien. You know, that’s the real idol magic. Murotan and Rikako are great performers and have been since their Kenshuusei days, and everybody knew they’ll be fine with their new group. Maho was a surprise. And man, did she surprise us all. 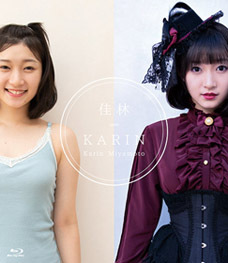 Once Meimi graduates Kana is next in line for my favs in ANGERME, but Maho is already a close second. 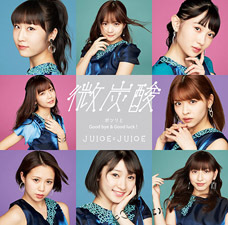 In its early years when S/mileage was the newest of the major groups it seemed pretty easily outdone in popularity and sales by the older groups. That being the case, it always pleases me when some new member was actually a big fan of the group specifically. Yuuka from 1st, but she was shining from the beginning.